There's nothing quite like the HomeCook'n Newsletter...with those funny jokes, great recipes, helpful cooking tips, and interesting reader comments. Now you can import the content from each issue of the 2017 monthly newsletter into Cook'n! 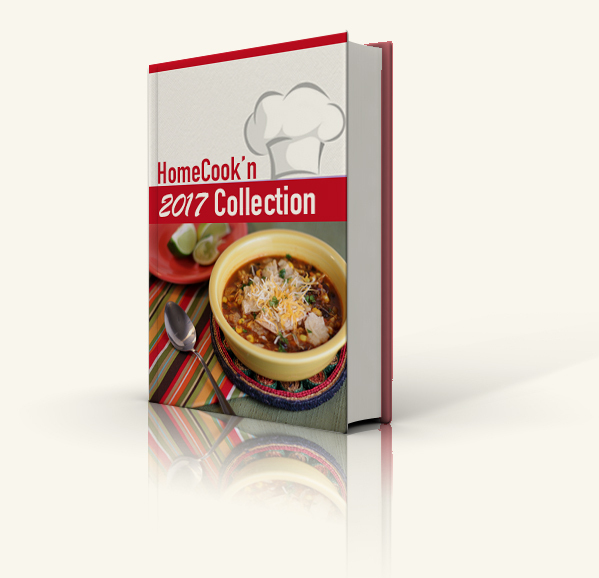 We compiled each issue of the monthly newsletter into a cookbook that you can import into Cook'n and keep forever! Kitchen Remedy: THE Technique for Saving Time and Energy in the Kitchen! Kitchen Remedy: Leftover Pumpkin? I've Got Ideas for You! Best of Pinterest: High Protein Dinner in a Flash! Table Talk: 2017 Diet Improvement? It's in NUTS! Kitchen Remedy: How to Have Extra Time for More Cook'n! Table Talk: How to Nail Your (Once a Year) Corned Beef and Cabbage! Kitchen Remedy: There's LOTS of Life in Those Mushy Apples! Jest for Fun: Lexophile - a lover of words! Jest for Fun: The Force? Table Talk: Going the Extra Effort Says "You're Extra Special!" Table Talk: The Kitchen Appliance Everyone is Talking About! Kitchen Remedy: Why Does my Pee Smell Weird? Table Talk: No Snake Oil Here...THIS is a TRUE Wonder Food! Table Talk: How Does Your Garden Grow? Kitchen Remedy: Got Mediocre Tomatoes? Jest for Fun: When You Gotta Go! Jest for Fun: Bill was a Single Guy. Table Talk: Happy National Donut Day! Kitchen Pantry: How Important is Dinnertime? Jest for Fun: Who Wore It Better? Table Talk: A Cookie So GOOD, We Should Make It More! Kitchen Remedy: Wok are you Smoking? Jest for Fun: The Chalk Man is Back! Jest for Fun: First iPhone? Table Talk: Squash Blossoms Take Cooking to a Whole New Level! Table Talk: My Favorite Kitchen Gadget of Summer! Kitchen Remedy: What To Do When You Have Peaches Galore! Jest for Fun: That is Insane! Table Talk: Did You Know You Child May Consume 49 POUNDS of this a year?! Table Talk: 6 Fantastical Food Combinations That You Have Never Tried! Kitchen Remedy: 14 Cooking Tips and Rescues You Will Want to Know! Kitchen Remedy: How to Make Perfect Oatmeal in the Instant Pot! Kitchen Remedy: To be a Great Chef, Know What These Ingredients Actually Do! Best of Pinterest: Chicken Fajita Soup for the Win! Table Talk: This is Halloween! Kitchen Remedy: Pot Roast 101: Picking a Roast Plus a Great Recipe! Jest for Fun: Heavens to Murgatroyd! Jest for Fun: A New Country Song? Table Talk: Thanksgiving Leftovers and What to Do with Them! Table Talk: A Furry Thanksgiving? Kitchen Remedy: Beans Really Are a Magical Fruit! Kitchen Remedy: "Souper" Time Savers! Kitchen Remedy: Fun Fact for Food Festivities! 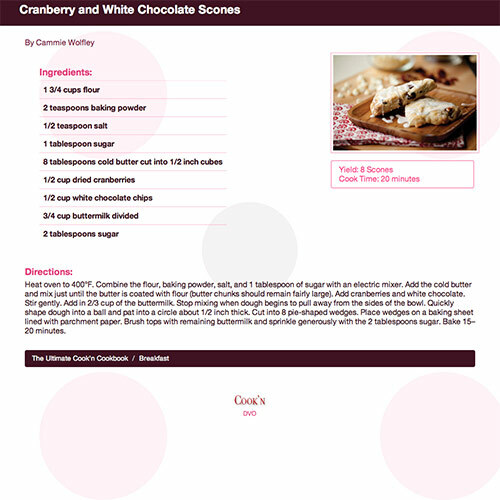 Kitchen Pantry: Cook'n Demo: How to Share Recipes in 2 Seconds! Jest for Fun: And Your Name Is? Table Talk: A Holiday Food Your Guests and Your Body Will Thank You For! Table Talk: What's On Your Kitchen Wish List? Table Talk: The Great Lengths a Good Foodie Will Go for Good Food! Kitchen Remedy: A Simple Way to Amp Up the Proverbial Salad! Kitchen Remedy: Help! I'm Chickened Out! Kitchen Pantry: Cook'n Demo: New! Killer Print Feature! Best of Pinterest: Winter Simmer Pot Recipes! Jest for Fun: Some Days are Just Amazing!